Cubicles and private offices were replaced with open plan offices in the 1990s, which many believed facilitated greater collaboration and communication within teams. While many people value the creativity and innovation that open plan offices provide, others long for more privacy, peace and quiet. A recent article by The New York Times entitled Don’t Get too Comfortable at that Desk, highlights a trend towards a “palette of spaces” to accommodate the various ways people like to work. The modern day worker has a variety of tasks and different tasks require different work spaces. People no longer sit in just one place at the office, so future offices need to be ever-changing, modular configurations that focus on employee happiness and retention. According to Eivind Karlsen, Head of Design at Industrious, there is an increased focus on experience when it comes to office design. Employee experience can be tied to metrics such as employee satisfaction, retention and productivity. For tenants, it is becoming increasingly viable to opt for “Workplace-as-a-Service” models, where office spaces are designed and delivered in more modular configurations so that a company of any size can come in and find an appropriately sized space. 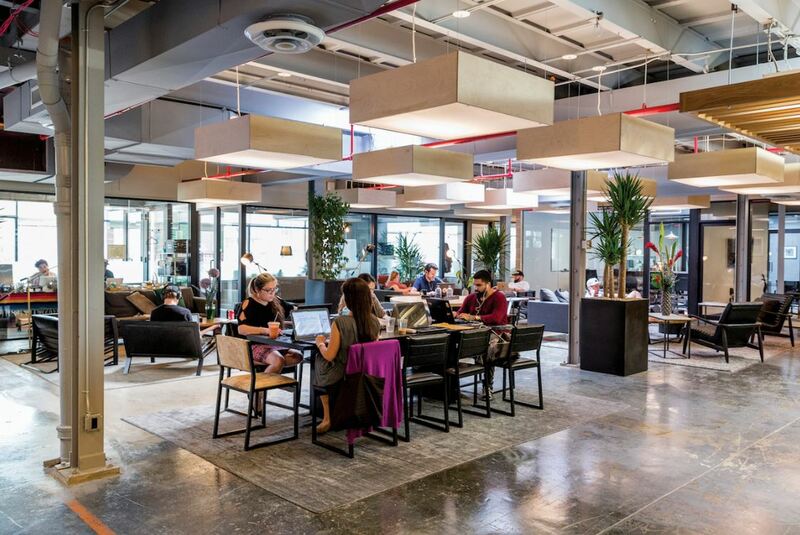 This aligns with the co-working space trend, where even big companies are taking advantage of the flexibility and geographic convenience that these shared work spaces offer. Eivind also says that there is a “Millennial design aesthetic” which includes reclaimed wood, filament bulbs, steel window frames, old industrial fans and so forth. These design elements began as a genuine effort to integrate existing features and qualities, but over the past two decades it has become a contrived fashion in interior design. According to research, more than 40% of adults in America report feeling lonely, including many in the workplace. It is for this reason that Eivind says that workplace design is critical for productivity as well as general happiness on the job. He concludes by saying that a successful office space needs to offer respite from the screen and become an antithesis to the screen – soft, calming and transportive. Full thanks and acknowledgement are given to Alexander Besant for some of the information contained in this article.